Donald Trump speaks to members of the media on Friday, April 5. .With his call for lower interest rates, President Donald Trump has weighed into a debate inside the Federal Reserve about what central bankers should do about sub-par inflation. It’s not totally crazy to think he’ll eventually carry the day. In advocating easier credit, Trump and senior economic adviser Larry Kudlow have harped on the paucity of inflation to justify their call for a change of course by the central bank, even with the U.S. economy still expanding. By highlighting weak inflation, Trump touched on a sensitive subject for Fed officials who’ve been struggling to understand why. Monetary policy makers have been surprised by how tame inflation has been and have cited “muted’’ price pressures as a reason why they can afford to be patient in deciding their next move, after four rate increases in 2018. Indeed, Chairman Jerome Powell has said he doesn’t feel the Fed has “convincingly’’ hit its 2 percent inflation target after years of running mostly below it. “I’m not sure we have a big disagreement here, maybe one of timing,’’ Kudlow said in a Bloomberg Television interview on Friday. Investors also seem convinced that it’s only a matter of time before the Fed lowers rates, based on trading in the federal funds futures market. So far, though, central bankers don’t show an inclination to ease credit. In fact, Harker and some other Fed officials think rates are more likely to rise than fall. The administration’s push for lower rates isn’t only about economics, of course. It’s also about politics. Because monetary policy works with a lag, it would be better for economic growth in 2020 -- and for Trump’s re-election prospects -- if rates were cut in 2019. “We don’t want measures that will restrain the economy or financial market conditions,’’ said Kudlow, who also called on the Fed to stop reducing its balance sheet. In laying out the case for Fed rate reductions “at some point,’’ he said that not only is inflation low, it is headed lower. Kudlow said Trump’s tax cuts and deregulatory actions are boosting the supply side of the economy -- prompting companies to add to capacity and boost worker productivity, while encouraging Americans who’ve been on the sidelines to re-enter the labor force. “Strong growth is not inflationary especially when it comes from the supply side of the economy,’’ Kudlow said. 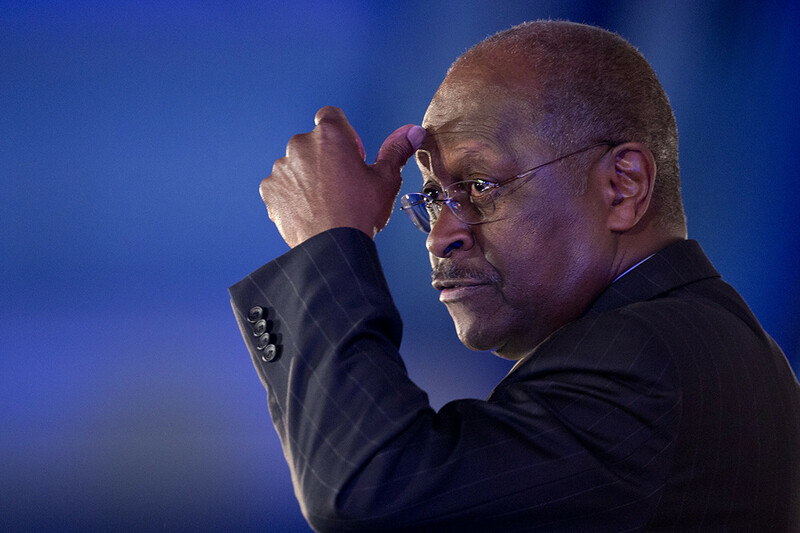 He said that the two men Trump intends to nominate to the Fed board -- tax-cut advocate Stephen Moore and businessman Herman Cain -- will make that argument when they join the central bank. 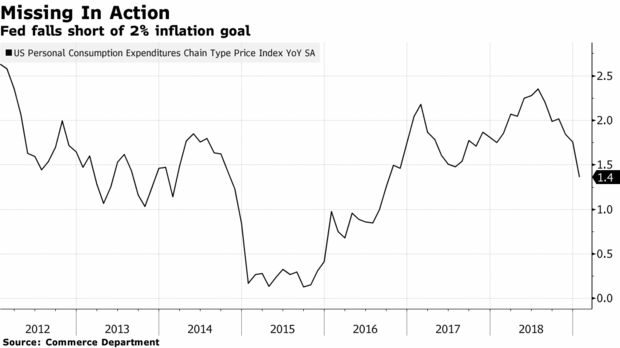 If inflation were to move broadly lower, the Fed probably will reduce interest rates, said Peter Hooper, a 26-year veteran of the central bank who’s now Deutsche Bank Securities chief economist in New York. There’s a precedent for that. In December 1995, the central bank trimmed rates by a quarter percentage point because inflation was weaker than expected. It followed that up with another quarter-point cut in January 1996, again citing reduced price pressures. The personal consumption expenditures price index -- the Fed’s favored inflation gauge -- rose 1.4 percent in January from a year earlier. After stripping out volatile food and energy prices, the core index was 1.8 percent. Most economists, including those at the Fed, are skeptical that the economy will get anything like the supply-side boost that Kudlow is talking about. As a result they forecast that inflation will rise, not fall, in the future. Behind many of those predictions: the belief that an increasingly tight labor market will force companies to pay their workers more and eventually prompt employers to raise prices to maintain profits. The trouble is that those relationships -- broadly known in economics as the Phillips Curve -- haven’t really been working. Inflation has stayed low even as unemployment has fallen to around a five-decade low. It’s currently at 3.8 percent and has spent the past year between 3.7 percent and 4 percent. Powell confessed on March 20 that there’s “no easy answer’’ to explain why price rises have been so subdued. 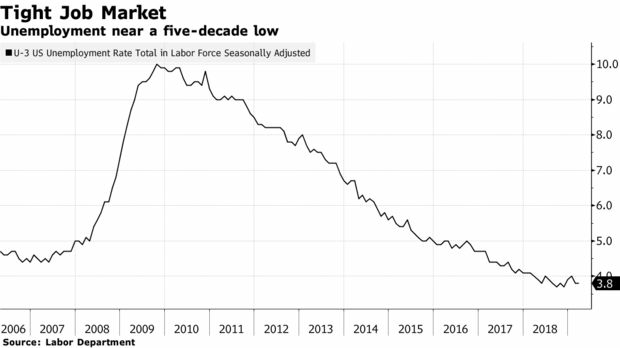 Two possible reasons he cited were that the labor market might not be as tight as policy makers believe, or that inflation expectations might have slipped lower. Expectations matter because they govern how consumers and companies behave and so help determine the future performance of prices. After listening to what Powell and Vice Chairman Richard Clarida have been saying recently, Kudlow said he didn’t think that the administration and the Fed were that far apart on the issue of monetary policy. “I think we’re reaching common ground here,’’ he said.